If you have been around California racing, California horse rescue or have seen comments on industry websites about "optimal pricing" and other economic concepts from someone who seems to know what she's talking about, chances are you've encountered Caroline Betts. 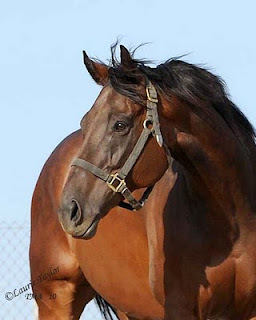 Caroline is a driving force behind the Southern California Thoroughbred Rescue, a well respected rescue, and teaches economics at the University of Southern California. Recently, the Horseplayers Association offered out a vision of a "Gambling Board" in California and submitted Ms. Betts name as someone we'd like to see get involved. We contacted her recently and asked her several questions. At the end of the interview, you will find links to Caroline's organization, its Facebook page, Twitter page and more if you'd like to adopt, donate, or keep apprised. What's her academic opinion on takeout issues? Can horses have their very own 401k's? Find out below. (1) What is your horse racing background? Primarily, I’ve been a fan. I watched my first live racing on (English) Derby weekend from a stroller on Epsom Downs, and remember it. My grandparents were daily handicappers and bettors, and my step mother is also an avid racing fan and a member of Elite Racing Club in the UK which campaigned the G1 winning mare Soviet Song and also a recent runner - Dandino - in the Japan Cup. It’s been fun keeping up with her racing “ownership” interests. In 1994, I moved from Cornell in New York to USC in Los Angeles to take up an economics professorship. I also took up horse riding again and found myself surrounded by off-track thoroughbreds. I bought my first off track thoroughbred from a groom at Santa Anita in 1999. 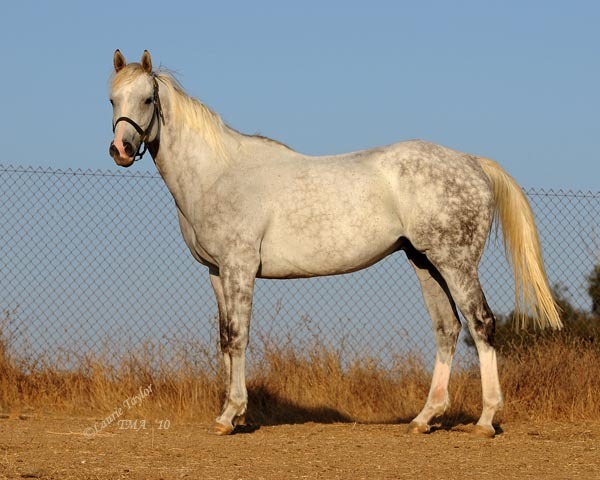 He was a British bred horse that had formerly raced at our local small track in Sussex, England. My husband, a former thoroughbred owner/trainer, and I owned and managed a small, hands-on thoroughbred breeding farm and sales business here in southern California for a few years, although both partnerships are now dissolved. Currently I run a non-profit thoroughbred rescue organization. (2) How did you get involved in horse rescue? That’s a painful recollection for me. A few years ago, I found myself single and caring for a significant number of young horses and former broodmares while working full time. I needed to find homes for some of them. I reached out to friends in the horse business for help with that, but was lied to by a local licensed owner about her intentions for one mare. (It’s a felony in California incidentally, to lie to or deceive someone for the purpose of obtaining an animal for commercial gain). Within a few weeks, I found myself scouring local low end horse auctions looking for the horse, which I never found. I was appalled at what I witnessed and learned at those low end sales which were an awfully long way from the sales pavilions at Keeneland and Barretts. Local young racehorses and breeding stock, including pregnant thoroughbred mares, were routinely dispersed there for their residual value which was often in the black market value of their meat for human consumption. It is a felony in California to purchase or sell horses for the purpose of export from the state for slaughter, but the law is not enforced. I wanted to help as many of those horses as I could to find a safety net, and to advocate for them and for change in this method of dispersal. I founded Southern California Thoroughbred Rescue which tries to do those things, albeit in a small way. (3) We first spoke with you about some other issues in racing. You have been active in answering questions of horseplayers and the industry on takeout via blogs, emails etc and seem quite passionate about it. In a lot of the items you address you speak of "optimal takeout". What exactly is that? “Optimal takeout” is the percentage tax rate on amounts wagered (betting handle) that maximizes tax revenue i.e. the percentage of handle that is not returned to bettors which maximizes the tax revenue received by state and local governments, racetracks, and horsemen’s groups. Legal wagering on US horse racing is taxed by state and local governments and, in practice, the pari-mutuel tax revenue is shared by governments with racetracks and other horsemen’s groups incurring costs and - varying in degree by state - the total tax/takeout rate is also determined in consultation with these groups. States today take a very small percentage relative to tracks and horsemen’s groups collectively, and derive income from other forms of legal gaming which often is a larger source. “Optimal takeout” derives from the idea that the law of demand holds for legal games. In other words, the demand for bets is inversely related to the “price” of a bet - the percentage of handle that is taxed and not returned to bettors. There is therefore a Laffer Curve associated with takeout rates, which characterizes how revenue from taxation of handle varies with the takeout rate. If the takeout rate were zero, there would obviously be zero revenue. Because demand falls with price, there is also some very high takeout rate - 100% is an obvious example – at which the tax base (handle) would shrink to zero which would also produce zero revenue. There is therefore some takeout rate on handle, between 0% and 100%, which maximizes revenue. What the revenue maximizing takeout rate(s) is/are depends on the shape of the demand function for the legal game in question. Specifically, it depends on how sensitive or elastic demand is to price changes at different takeout rates. If demand increases (decreases) more than proportionately to a price change at a given takeout rate, then revenue will rise (fall) if the takeout rate declines (rises) – demand is elastic at that takeout rate - and conversely if demand changes less than proportionately to a price change. 4) Have you had a chance to read any published literature on takeout? Is the general conclusion in academia and through empirical testing that our takeout is too high, too low, or about right? I’ve read quite a bit of the academic (peer-reviewed) literature that tries to establish optimal takeout rates on pari-mutuel wagering. These are statistical analyses that estimate the price elasticity of betting handle, for specific samples of tracks and dates. They use the estimates to infer what the implied “Laffer Curve” looks like around the takeout rates that prevail in the samples. Then they can say whether prevailing rates are higher or lower than the revenue maximizing rate. That literature begins with the seminal work of Gruen (Journal of Political Economy, 1976) and continues up to the present time with recent studies from Europe. The recent US academic literature has been more focused on estimating how betting handle responds to the availability of, and prices of, substitute forms of gaming and to the availability of simulcast signals and ADW wagering options, as you would imagine. The analyses all suggest that demand for pari-mutuel wagering is inversely related to its own price, the own takeout rate i.e. gamblers are rational “utility maximizers” in their response to price changes. It is also inversely related to the availability of substitute games (state lotteries, casinos, etc.) and positively related to the prices of substitutes (i.e. if the price of a substitute falls, betting handle on racing falls). The direction of sensitivity, and the rationality of gamblers on pari-mutuel horse racing in regard to price changes, is not at issue. The issue, for the purpose of establishing optimal takeout rates, is what the magnitude of price sensitivity is. Almost all studies of own price/takeout elasticity show that demand is “elastic” at the takeout rates prevailing in the samples studied; i.e. that takeout rates were above the optimal rate and that revenue could be increased by reducing them usually by a substantial margin. The only two estimates I have seen that suggested a specific takeout rate was lower than the revenue maximizing rate date to 1979 and 1980 when average takeout rates were in the 14% range. 5) How do other industries find "optimal pricing" and what can racing do in an academic or scientific way to do the same? This is a huge question which can’t be answered in less than a novel. In general, “optimal pricing” depends on the goals of the industry. The ability to achieve any goal is constrained by many things, including the structure of the industrial organization, industry cost and demand conditions, and the legal environment. Determination of pricing goals (e.g. short-run profit maximization, long-run profit maximization, quantity/consumer/market share maximization, partial cost recovery, survival etc) along with actual determination of the optimal price – generally require knowledge or estimates of production cost functions, demand functions, and broader market conditions. Obviously, since state and local taxes are a part of the price of pari-mutuel wagering, then the goal of the government is also a factor. In California, for example, the CHRB has an explicit goal of state tax revenue maximization, which suggests that revenue maximization might be a key goal of pricing in racing. In Florida, the state regulatory authority of pari-mutuel wagering has a quite different mission. If revenue maximization is the goal for pricing of pari-mutuel wagering, then the cost structure of the industry is irrelevant - and racing needs to continually monitor market demand to know how demand is changing over time and under alternative market conditions to know how revenue will respond to a given price change. It needs to know what the shape of the “Laffer Curve” or total revenue curve is. An industry could use existing demand elasticity estimates to simulate the impact for revenue of a variety of price changes. The econometric studies of pari-mutuel wagering I mention above provide “point elasticities” for handle with respect to price. They tell you whether revenue will rise or fall as you change prices from the levels prevailing in the sample, and hence whether you are above or below optimal takeout at the prevailing prices in that sample. But these estimates are unlikely to reflect current market conditions and demand. In any case, they do not map out the entire demand function which you would need to derive the Laffer Curve and the current revenue maximizing price. How can you infer what the entire Laffer Curve looks like in your state today, without directly experimenting with your customers? Consumer surveys as a controlled experiment. Researchers conducting experiments could ask participants to respond in hypothetical wagering amounts to menus of prices allowing you to derive a behavioral and quantitative model of gambling demand over prices. I think to do this right would likely necessitate a long and complicated experimental research program, but it warrants academic and industry investigation. You could develop agent based, theoretical models of wagering behavior - for example, models that assume rational, forward looking optimization on the part of bettors - calibrate them, and simulate them under alternative pricing and product menus to map out an entire demand function and Laffer Curve. You evaluate how good the model is by comparing the simulated handle data to actual handle data as takeout rates change. There is an academic literature which examines attitudes towards risk, and the objective functions, of pari-mutuel gamblers, which might provide a basis for initial behavioral modeling assumptions. I think this is a promising avenue for research too, and also a major project. Some very simple behavioral models have been explored in the existing literature. For example, in the 1970s you could assume that the state had a monopoly over legal pari-mutuel wagering and so use a simple profit maximizing monopoly model to derive the optimal price, which is simply a markup over marginal cost of production (estimated from track percentage take) where the markup is a specific function of an estimated demand elasticity. Obviously, that model is no longer relevant. In any case, ongoing research to assess the market that racing faces is called for if the goal of pricing is revenue maximization or in any way depends on what the demand curve looks like – which is true of any optimal pricing strategy. 6) HANA has put forth your name as someone we’d like to see get more involved, say on a gambling or wagering board/panel in California to hopefully grow our sport. Does this interest you? It is something I would be interested in. 7) Back to horse retirement: If you could wave a magic wand and do one thing to help retired horses live their days out in dignity, what would you do? That does not mean that the fund should cover expenses for the lifetime of the horse; for many young, relatively healthy horses there is an active adoption and sale market which will absorb them as non-racing prospects relatively quickly, while horses genuinely in need of retirement can be subsidized from that turnover. There are some owners that literally keep their racehorses for their lifetimes, and some good private markets, as well, for off track thoroughbreds that will absorb some that can be transitioned. I don’t think a central fund will need to finance the transitioning and retirement of them all – but it should be there to secure a place in the non-profit sector of those that have no good alternative. Is it feasible? I think so – and more, I think it will enormously benefit the industry to develop a reputation for altruism and uniformly caring for its equine athletes when they are no longer athletic. The trend of social conscience in favor of humane treatment of animals is unlikely to reverse, so you have to take account of that in any plan to build or even maintain public and political support. I’m not naïve about the costs – they would run in the tens of millions of dollars a year, although I’d note that is dwarfed by what is spent on thoroughbred racehorse and breeding prospects each year at public auction. Maybe you need an initial investment fund to be established by a sympathetic philanthropist to establish a new norm or standard for industry practice to live up to. Based on my own experiences – as a very naïve horse owner some years ago and now much less so – secure, humane placement and retirement of racehorses is very difficult to accomplish, and usually best left to organizations which specialize in doing so. They just need to be adequately funded to do that work on behalf of the industry. For further information on Caroline and her rescue, contact her at her website, facebook page or on twitter below. Web Store and Calendar with Donation link. Please consider helping retired horses today.